The morbidity and mortality associated with bacterial infections have remained significant despite chemotherapeutic advances. With the emergence of drug-resistant bacterial strains, the situation has become a serious threat to the public health. Thus, there is an urgent need to identify novel antibacterials. The majority of antibiotics available in the market are produced by bacteria isolated from soil. However, the low-hanging fruit has been picked; hence, there is a need to mine bacteria from unusual sources. With this in mind, it is important to note that animals and pests such as cockroaches, snake, crocodiles, and water monitor lizard come across pathogenic bacteria regularly, yet flourish in contaminated environments. These species must have developed methods to defend themselves to counter pathogens. Although the immune system is known to possess antiinfective properties, gut bacteria of animals/pests may also offer a potential source of novel antibacterial agents, and it is the subject of this study. 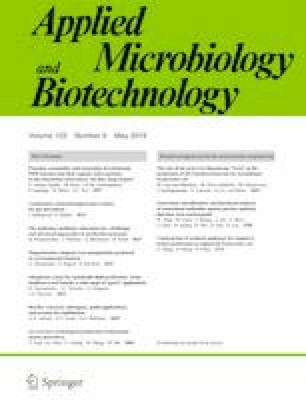 This paper discusses our current knowledge of bacteria isolated from land and marine animals with antibacterial properties and to propose untapped sources for the isolation of bacteria to mine potentially novel antibiotic molecules. The authors acknowledge Sunway University for support. This article does not contain any studies with human participants or animals performed by authors.